Why have you guys changed my theme layout? My whole form has been changed into square blocks instead of the design i had specifically customized! I'm sure other's are complaining about it too! Please accept our apologies for the inconveniences caused. Our team has implemented some updates to the JotForm Card layout forms in order to improve them. 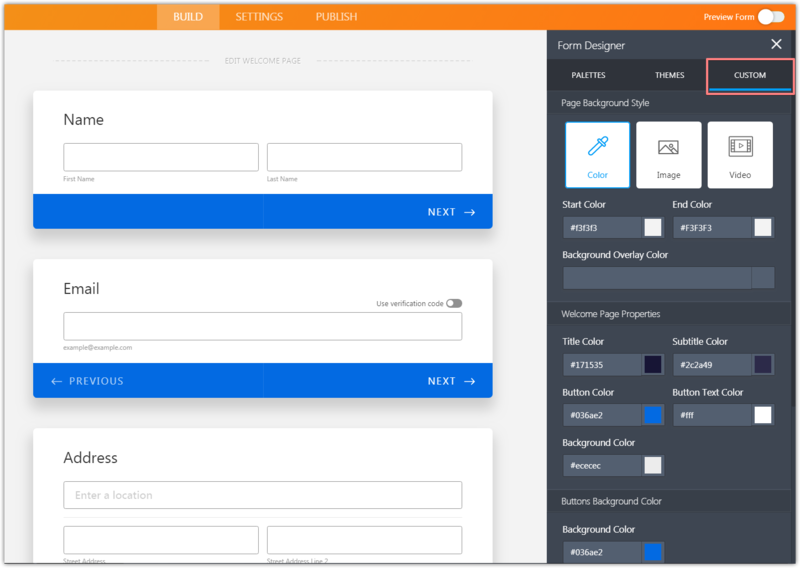 The styles should be customizable from a Custom tab within a form designer. If you are disappointed about some specific elements or styles, please let us know. I had Circular buttons with transparency and a considered colour scheme...now it just looks like somebody turned on accessibility settings or something....text is too big now. We are sorry for any inconvenience caused. I have submitted the issue to our developers and you you will be notified on this thread as soon as possible. We're sorry for the inconveniences. We're making improvement on JotForm Cards, this is the reason why you're seeing differences on your forms. We've made necessary updates in order to use your custom color schemes on your forms. Could you please check and let us know if you still disappointed something on your form designs?